Invited by the management of Slovakiaring to be the main attraction of the ‘National Race Weekend’ at Slovakiaring near Bratislava, Ingo Gerstl and Wolfgang Jaksch from Team Top Speed performed an exhibition on Sunday, August 23rd with their current BOSS GP race cars, a Toro Rosso F1 STR1 and a Dallara GP2/08. 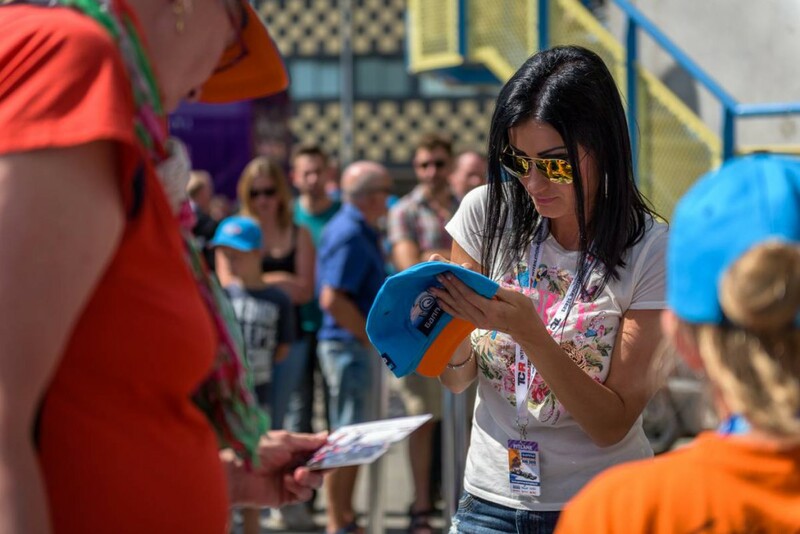 The event started with an autograph session, which was also joined by Veronika Cicha (CZE), currently the only GP2 female pilot worldwide racing in an official FIA series – beside several other Eastern European pilots from all kinds of FIA racing series. 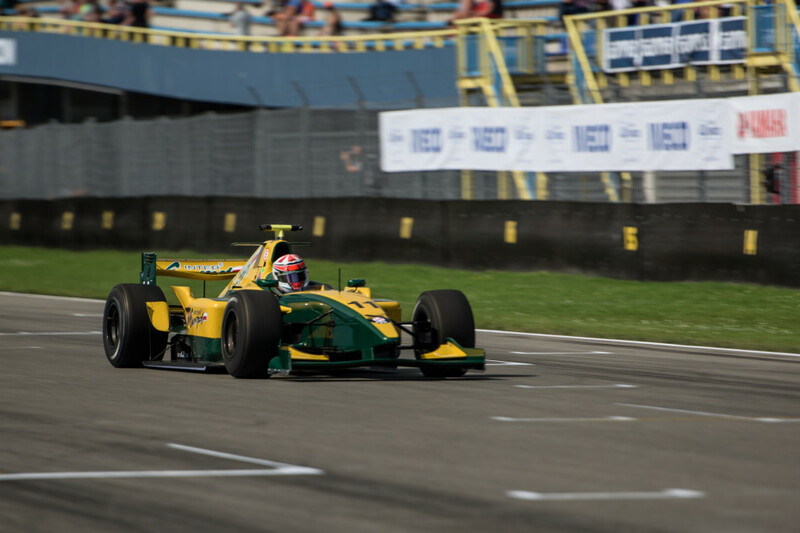 After signing hundreds of autographs, it was Wolfgang Jaksch who opened the formula showcase by performing some show laps with his GP2 around the widely open race track under the eyes of thousands of racing fans. After coming back safely to the pits, Team Top Speed started up the V10 of Ingo Gerstl`s Toro Rosso STR1 and the entire crowd stood up from their seats as he accelerated the car out of the pit lane. It was almost kind of nostalgic for all fans to see and furthermore hear this incredible engine and power and witnessing live, that the most powerful ever built F1 cars are still running and can be seen in an official racing series! The final highlight was a head to head comparison between F1 and GP2 as both pilots went on track and fired up their engines on the two long straights side by side. The feedback after the showcase was incredible and many fans promised to come and see the next BOSS GP racing weekend live in Brno (CZE) on September 5th and 6th. The next possibility to see a GP2 live in an exhibition will be already next weekend in Most (CZE) in the celebration of the FIA Czech Truck Prix. Veronika Cicha will show some fast laps with her „pink beast“ and she will also pilot a Rally Race Taxi on the „Polygon“ beside the main circuit in Most. 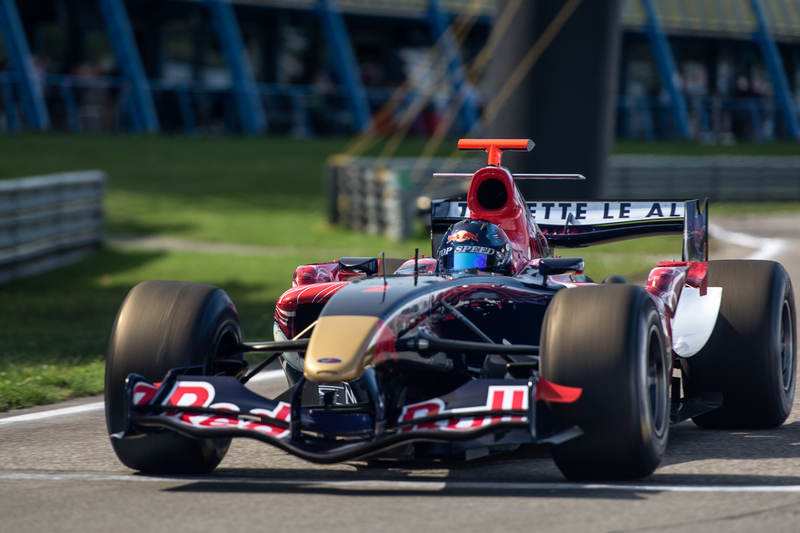 “Bull’s Eye” for Gerstl and his Toro Rosso F1! 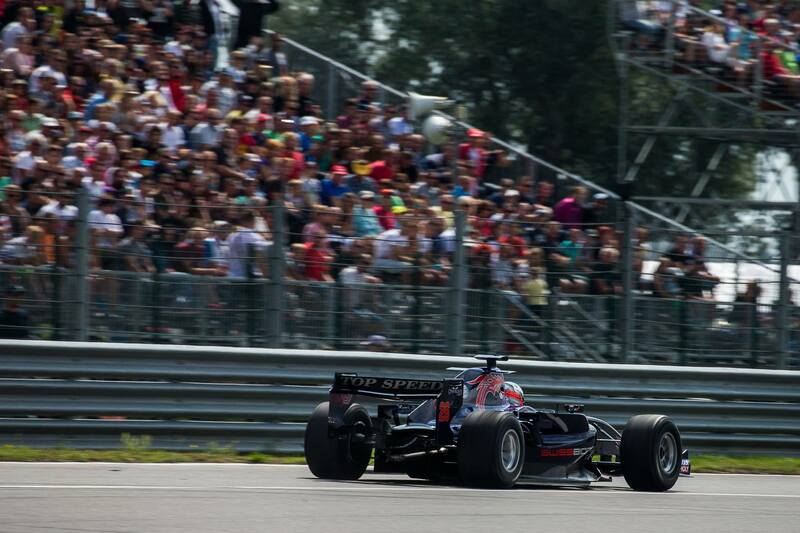 Assen, Netherlands, Sunday, August 2nd, 9:00 am in the morning… Almost 90.000!! 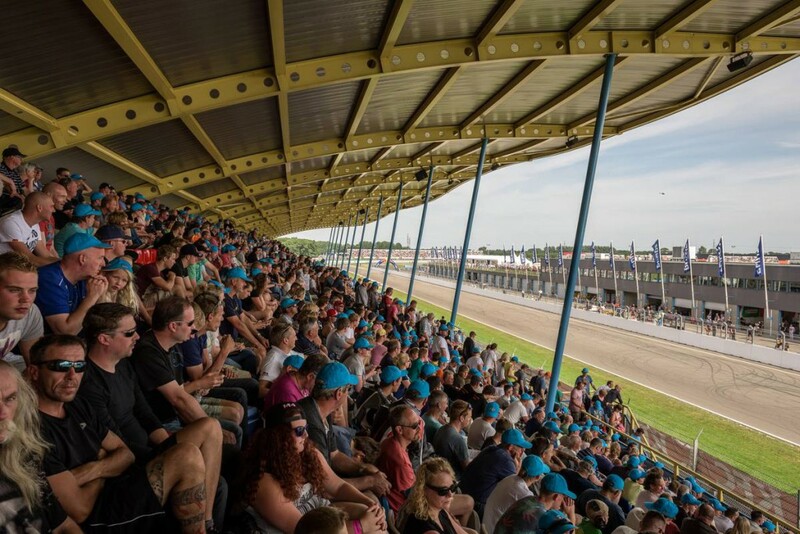 spectators were already lining the grandstands at the TT Circuit awaiting another annual GAMMA Racing day in the northern part of the Drenthe province. This one of a kind event spectacle formed a perfect framework for the 5th race of the BOSS GP Championship 2015. Due to the numerous incidents in the Saturday race, the starting grid unveiled several surprises. 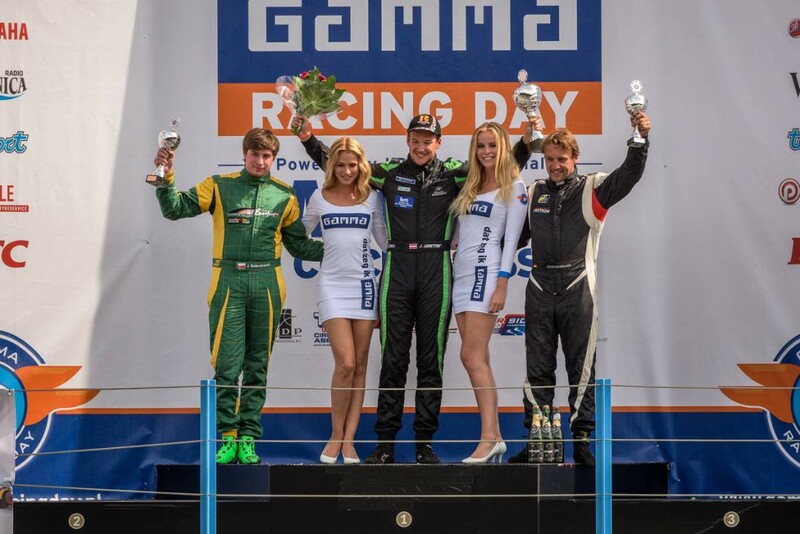 Despite Ingo Gerstl, who superiourly won Race 1 in the OPEN class, the FORMULA Class contenders Henk de Boer as well as Armando Mangini were lining up their GP2`s in the front rows right behind the Polish Championship leader Jakub Smiechowski. His closest follower, the Austrian Johann Ledermaier was forced to the end of the starting grid after a complete failure in Saturday`s race. There could be no better precondition for an exciting, dramatic and spectacular Race 2 in front of a crowd, which can`t even be beaten by a current regular Formula 1 Sunday race. Gerstl caught a good start and piloted his Toro Rosso STR1 smoothly and fast through the demanding layout of the TT circuit. 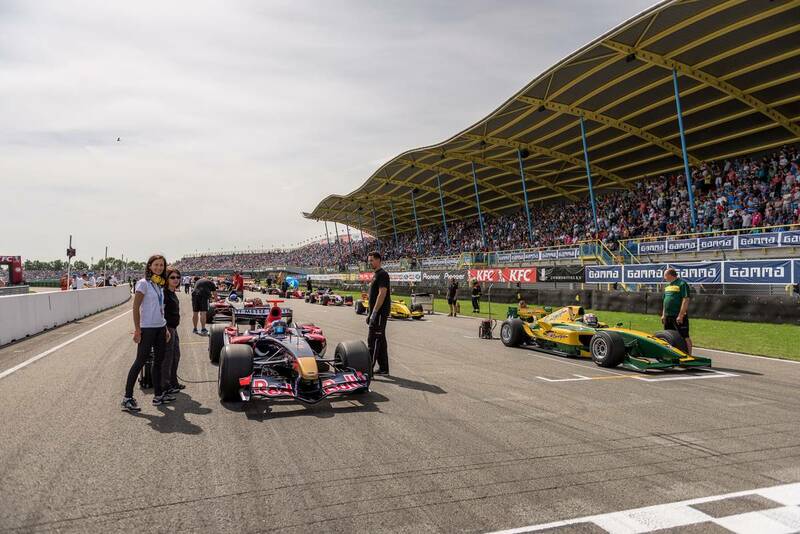 Even if his direct opponent Klaas Zwart announced to chase him in this race in front of his home crowd, the Dutch F1 Jaguar pilot had to park the car again in the pits after a safety car stage in the middle of the race. He couldn`t manage to get his overheating problems under control. So the way was clear for the Austrian routinier who showed his high-level driving skills to finally celebrate with his team a superb „Bull`s Eye“ with 50 points out of only his 2nd race in this car, followed by another great performance of BOSS GP returnee Peter Milavec in his Judd-powered ChampCar and Philippe Haezebrouck, who was racing this weekend with an perfectly- prepared AUTO GP car from Austrian Zele-Racing team. The precondition in the FORMULA Class was obviously perfect for the current leader Jakub Smiechowski. His follower Johann Ledermair started far from behind and everybody expected another win from the Polish driver. Surprisingly Ledermaier caught a perfect start and overtook already several cars in the first corner and started a phenomenal chase for the pole. Finally he could manage to overtake Smiechowksi and he achieved a victory by showing his best performance this season so far. After the accident on Saturday, Florian Schnitzenbaumer showed the big crowd a very stable and concentrated performance and he finally earned his second podium spot this season. His teammate Wolfgang Jaksch also caught a good start and placed his car out of corner 1 right behind Henk de Boer. Lap by lap he shortened the gap and was preparing to attack the Dutch driver. An unexpected safety car stage caused by an accident stopped the chase and for 4 laps the entire field formated itself in a row. The restart 3 minutes before the end of the race ended up in another incident where the Italian Armando Mangini, Dutch driver Henk de Boer and German Wolfgang Jaksch were involved. While de Boer could slightly overtake Mangini in corner 1, Jaksch and Mangini crashed in corner 3 and spun out widely in the grass. Nevertheless both had luck, Mangini came in on P10 while Jaksch could get his engine running and reached P6, only passed by TINTIN in the last lap. Jens Renstrup finished on P7, followed by Christian Eicke and Veronika Cicha. Mangini finished on P10. The MASTERS class series was overshadowed by a serious accident from the German Karl-Heinz Becker. Fighting for his position he got in contact with the tire of his closest rival for the Championship Hans Laub and his car immediately flipped over and smashed into the gravel upside down. Luckily Becker could leave the heavily demolished car without any injuries and he fort the luck of all fans, driver`s and the stuff he raised his hand right after the crash. Hans Laub therefore brought home safely another MASTERS class victory and he further increased his gap in the championship ranking. P2 went to Walter Steding followed by Peter Göllner who had to change the car (and the class) for the 2nd race. The BOSS GP series develops itself more and more into a very competitive and furthermore spectacular and exciting international racing series. Over two days 112.000 fans were truly overwhelmed by the sound, the speed and the infights of this second to none variety of the fastest ever built formula cars. Next hotspot of the series will be the legendary race track in BRNO/CZ on September 5th and 6th. Without any doubt many eyes will have the focus there on Czech female driver Veronika Cicha who was also born in the near of Brno. It will be the first time ever she will compete with her Dallara GP2 in front of her home crowd. 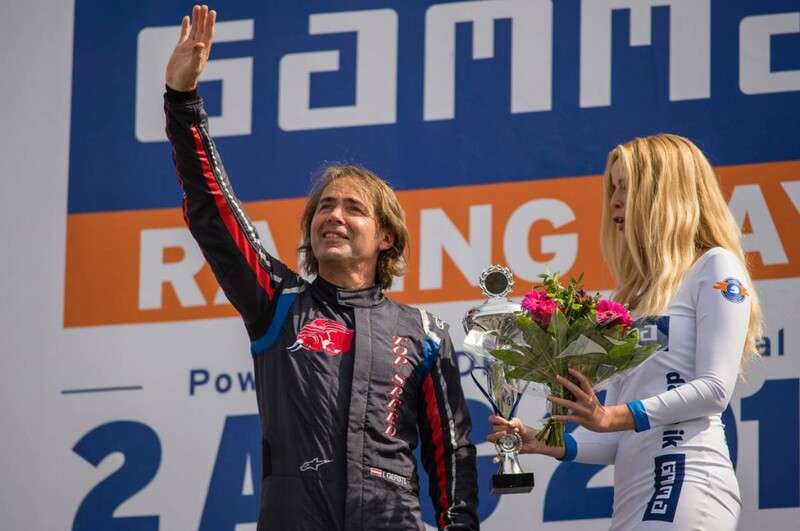 Keep on racing and see you in South Moravia on the first weekend of September! BOSS GP – FEEL THE POWER! 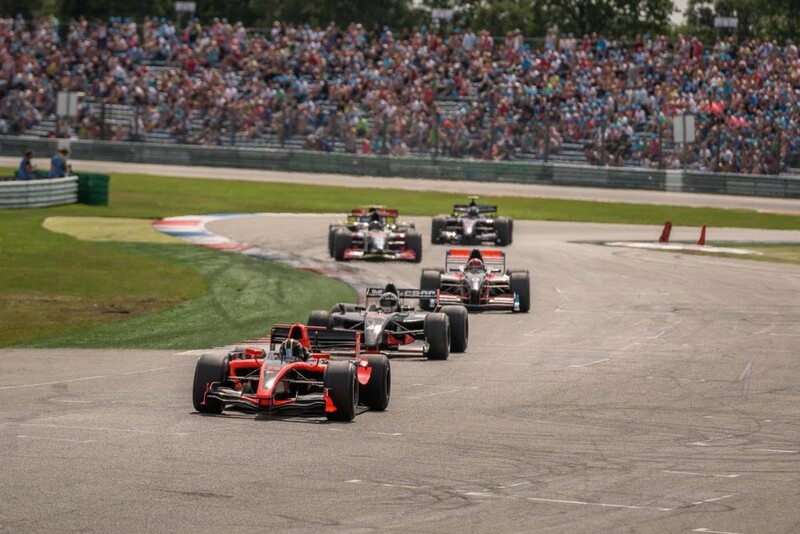 The 5th BOSS GP race weekend on the TT Circuit Assen (NED) started on Saturday with something totally unexpected. 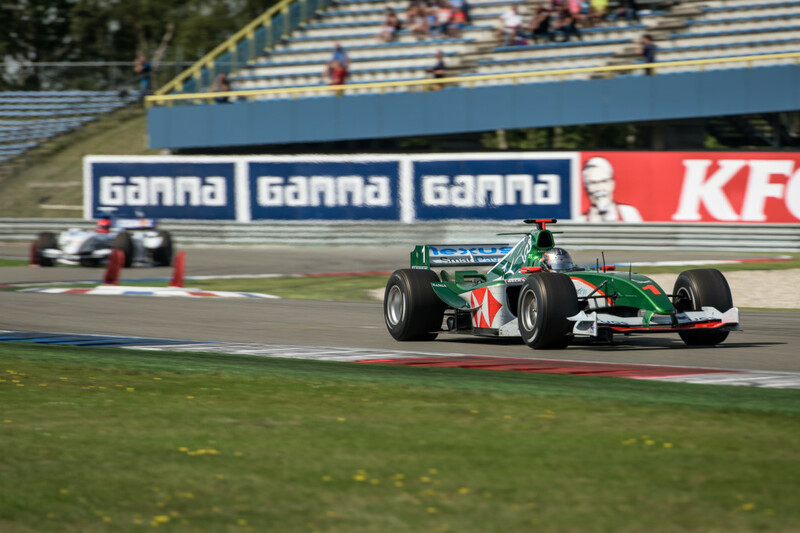 First of all home boy Klaas Zwaart (NED) showed up again with his Jaguar R5 in order to compete against Ingo Gerstl`s Toro Rosso STR1 in the OPEN class of the BOSS GP and he immediately set the pace and fastest lap time overall in FP1. However, he was not able to do a fast lap in qualifying and due to further technical difficulties he had to retire from the grid for race 1. 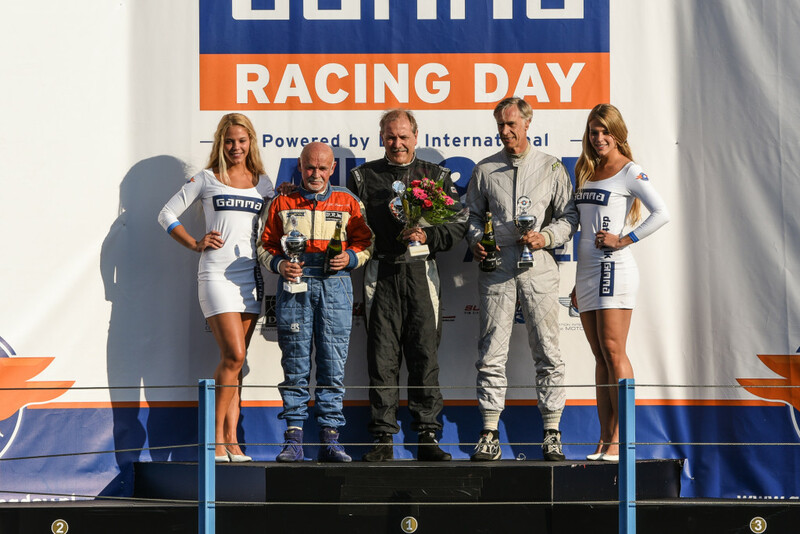 With Peter Milavec and his rebuilt ChampCar fitted with a new Judd 4.2 V10 engine together with Philippe Haezebrouck, who piloted a Zele-Racing Auto GP car, two more pilots were competing in the OPEN class this time. Gerstl with his Toro Rosso started the 1st race from P3, showed a superb performance and granted his first overall victory this season. Milavec finished 2nd in the class and Phillippe Haezebrouck caught a podium spot with a gap of 19 seconds. 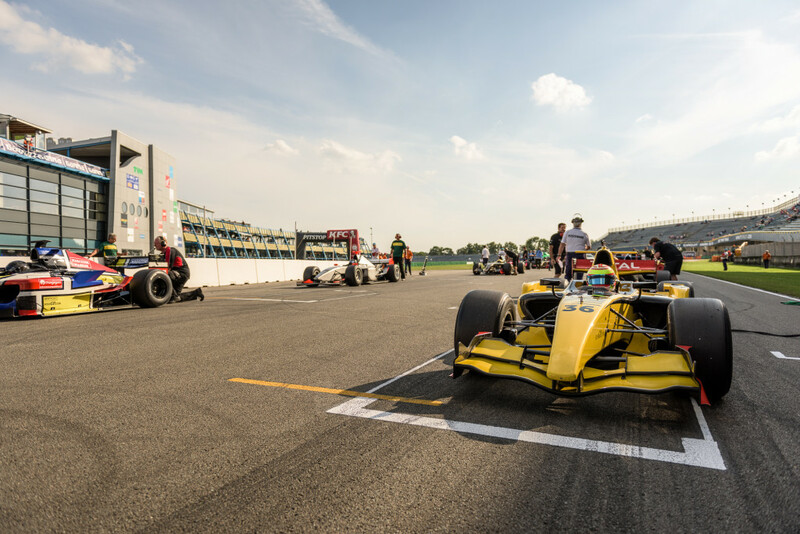 In the FORMULA class the ongoing infight between the Austrian youngster Johann Ledermaier and his toughest contender Jakub Smiechowski from Poland faced another shift. Smiechowski was the fastest man in the qualifying, set his car on pole position and also hit the first corner after the rolling start on P1. Still in lap 2 Ledermaier had a big multi-turn spun before the last chicane and had to stop his car in the run-off-area. 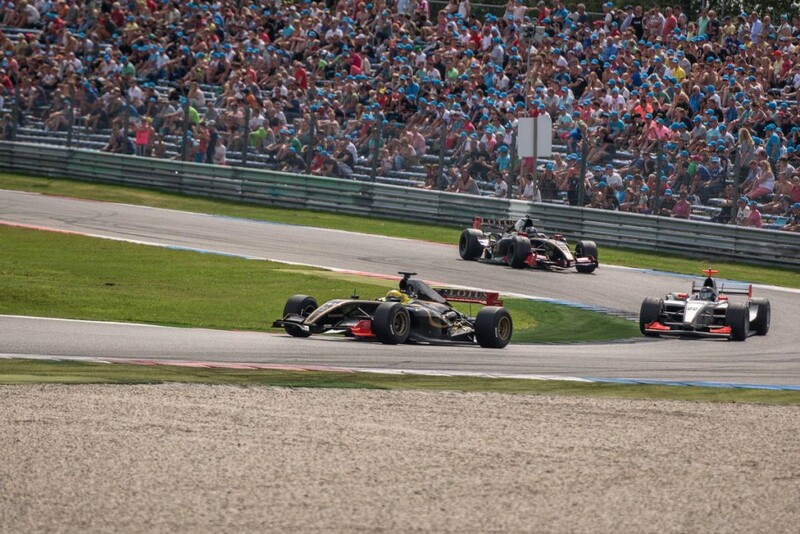 This incident cleared the way for the Polish GP2 driver and he celebrated his third win in a row. 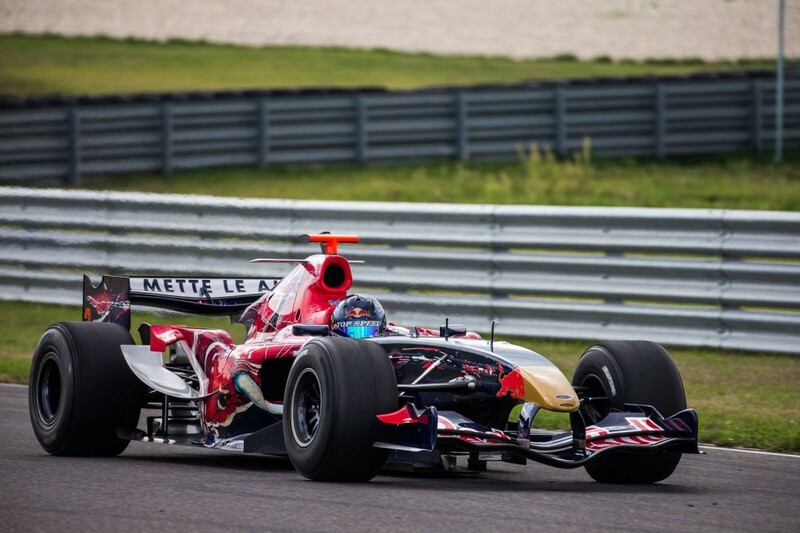 In addition he took over the lead in the FORMULA Championship for the first time this season. The German Florian Schnitzenbaumer who showed a constant increasing form curve since the beginning of the season also took advantage from Ledermaier`s mistake and controlled P2. A drive-through penalty (which finally wasn’t showing for him) pushed Schnitze back towards the end of the race and suddenly his team mate Wolfgang Jaksch was catching the second position until the last lap. Schnitzenbaumer was pushing to get his position back and attacked his German team mate in the last lap, unfortunately they both crashed with the result that both drivers were out of the race. 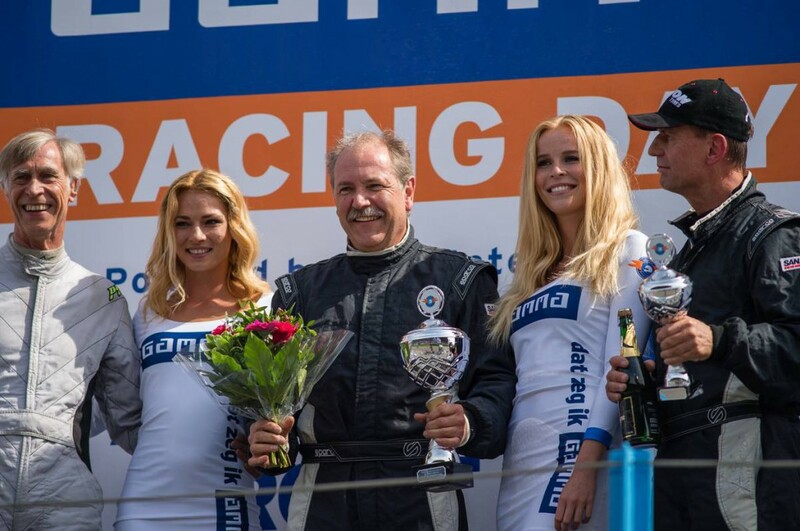 The big winners of this incident were Henk de Boer and Armando Mangini, who could not grasp their luck when they entered the finish line as second and third. Veronika Cicha, the Czech female driver, also caught her best position this season with a 4rd place followed by Christian Eicke. Wolfgang Jaksch and Florian Schnitzenbaumer were still classified on P6 and P8 and could gain at least a few points for the championship as well. Jens Renstrup and Peter Göllner completed the arriving field with P7 and P9. The MASTERS class faced another tight battle between the two German swashbucklers Hans Laub and Karl-Heinz Becker. With a 4,9 sec gap it was Laub, who finally triumphed again over his permanent rival Becker. P3 went again to Walter Steding. 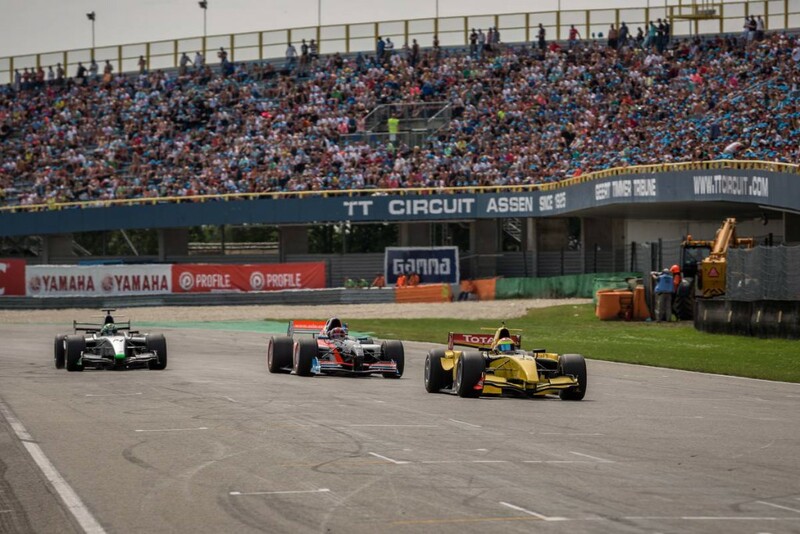 Race 2 on Sunday afternoon will not only be supported by approximately 90.000 racing fans, but it will be also interesting to witness, how the fast and unlucky guys from today – while starting from the end of the grid – will be able and willing to plow throughout the field. Race 2 will be started according to the placements of Race1. 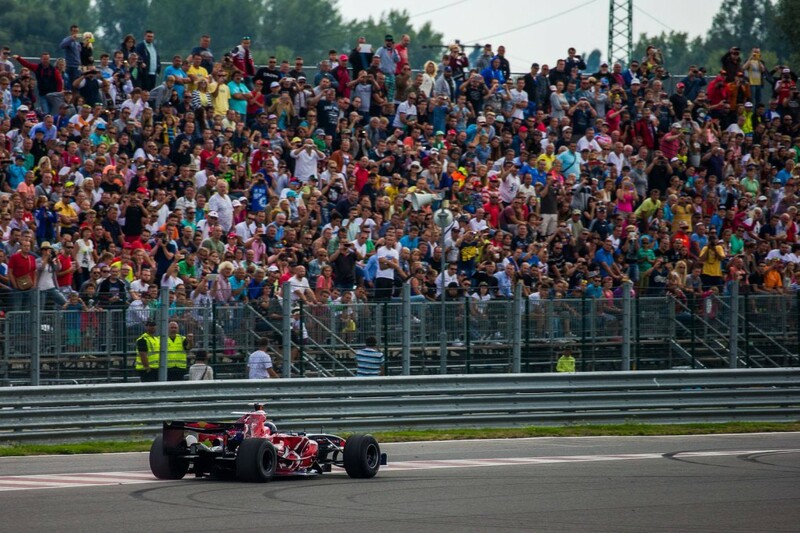 BOSS GP – always a dramatic spectacle for all pure racing fans!